Outcast red-haired teenager Rémy is bulled at school and lives with his estranged mother and sister in France. The also red-haired psychiatrist Patrick befriends Rémy and helps him to release his repressed hatred and sexuality. Those familiar with Gavras’s gritty, realistic, uncompromising music videos – MIA’s ‘Born Free’ anyone? – will be eagerly anticipating his first full length narrative, and unsurprised to learn that no punches are pulled, that the film will disquiet many. 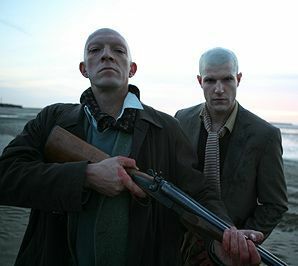 Alienated, disaffected, vilified, closeted red-head Remy (Olivier Barthelemy) assaults and escapes from his mother, and falls under thrall of the charismatic, racist, violent Patrick (Vincent Cassel), who takes him on a bizarre nihilistic road trip. The screening will be preceeded by a selection of the director’s seminal music videos, and was one of many terrific ideas suggested by the good folk at Dazed and Confused, guest curators of EIFF 2011.